If you don't yet have a 4K TV, what the heck are you waiting for? Granted, a couple years back, these televisions were expensive and there was little 4K content, but in 2018, these are no longer true things. A 4K TV can be had without breaking the bank, while streaming services such as Netflix and YouTube offer videos using this ultra high definition format. Today, Roku unveils two new 4K streaming media boxes that are surprisingly affordable. The "Premiere" and "Premiere+," as they are called, are priced low while also being quite capable. True, they forgo 802.11ac, but N wireless is more than fine. 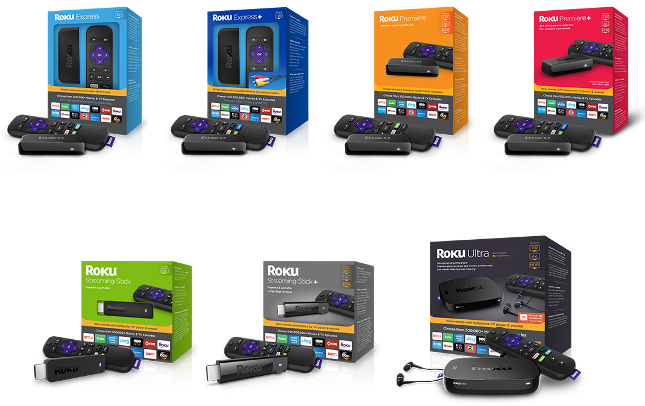 "Roku Premiere and Roku Premiere+ are the easiest and most affordable way to stream in outstanding picture quality. Tens of millions of 4K TVs will be sold this year; we’re seeing more content, even live sports, produced and streamed in 4K and HDR as each week goes by. At under $40, the new Roku Premiere is our lowest-priced 4K streaming player ever, and it’s going to give consumers the best picture quality their TV can handle. It is great for HDTV today and even better if they decide to get a 4K TV tomorrow," says Lloyd Klarke, director of product management, Roku. Roku is also improving its top "Ultra" model with new headphones, as it explains below. Roku shares the following features and benefits of the new Premiere and Premiere+. So, how much do these new devices cost? The Premiere is a mere $39.99, while the Premiere+ is just $10 more. Hell, Roku is even packing an HDMI cable into the box, making it an insane value. While the new premium headphones included with the pricey Ultra model is appreciated, customers are probably more likely to opt for these new affordable models -- and wisely so. The Premiere will be available early next month, but you can pre-order from Roku directly here. The Premiere+ will also be available in October, but it cannot be pre-ordered; it will be a Walmart exclusive. Will you be purchasing the Premiere or Premiere+? Please tell me in the comments below.